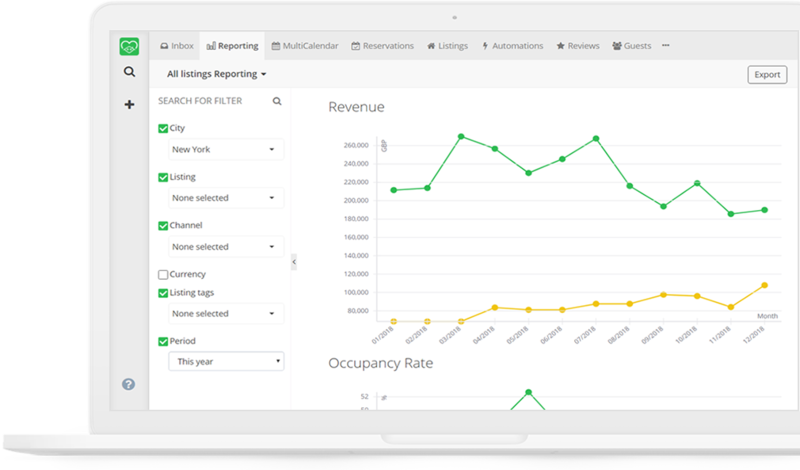 FantasticStay’s reporting tools ensure that you have the right information at your fingertips. 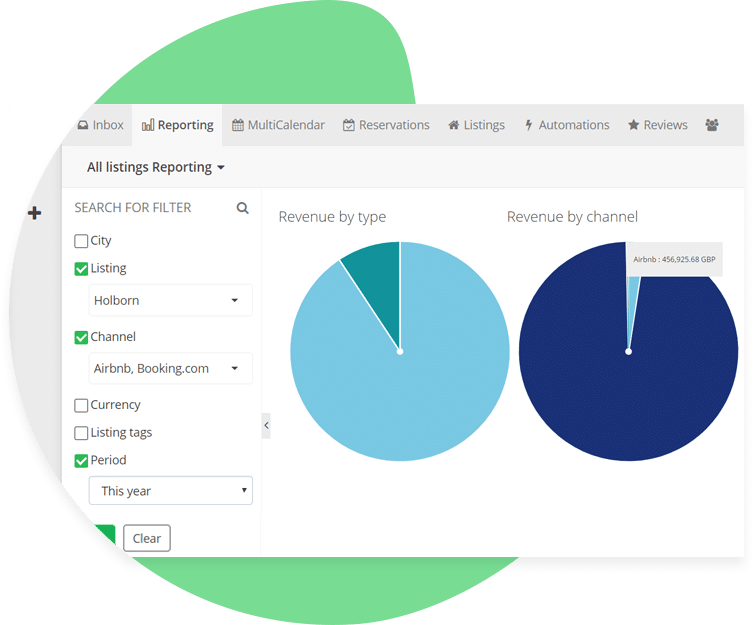 Our comprehensive KPI reporting system arms you with actionable insights to boost your business. Keep track of your most important KPIs at both the portfolio and listing level. 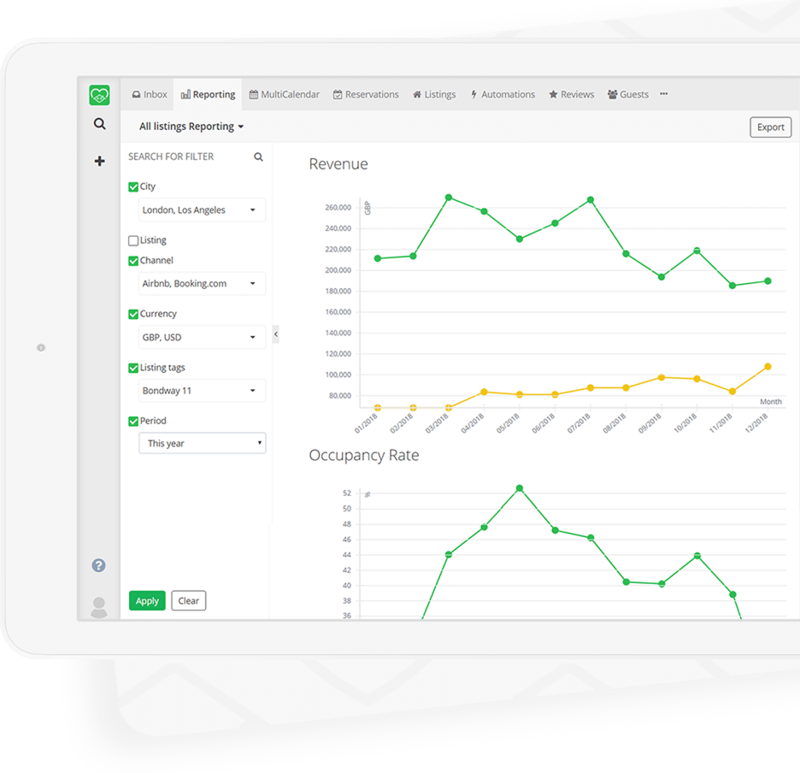 Instantly compare your actual performance to your targets, and forecast effectively. Filter by dates, channels, listings, cities, and tags. Get all of your essential metrics not only for your portfolio, but also at the listing level! Don't just set your prices. How much revenue can your Listing generate with 100% occupancy with your current pricing setup? Potential Revenue shows you exactly that. What should your average nightly rate be for your remaining available nights to achieve your monthly financial goals? The Daily Target metric is here to help. Use our price target tools to earn more, right from your Calendar. Grant access to multiple users, and set different permissions. Now your team, owners, and investors can access listing data and reports. Adjust permissions for each user or group. You control who sees what! 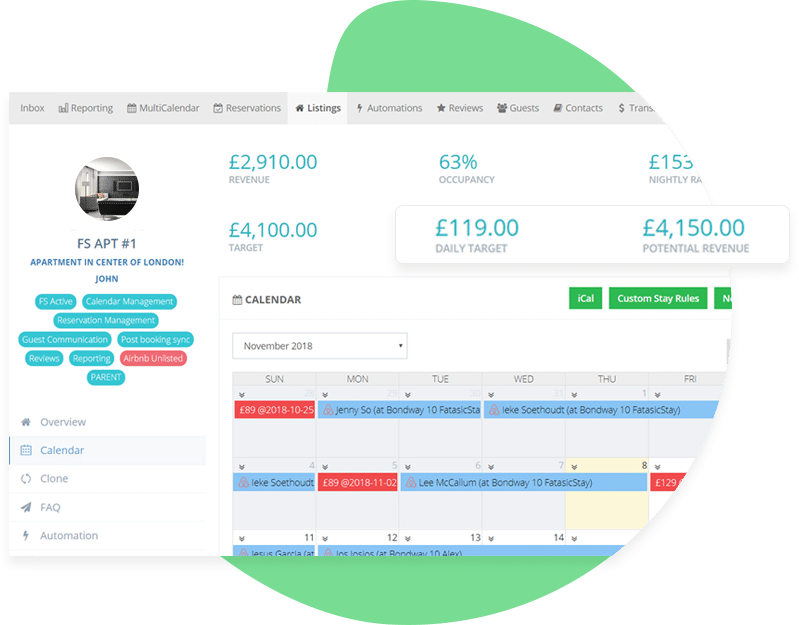 Want to see FantasticStay in action? Schedule a one-on-one demo to see what FantasticStay can do for you! © 2019 - FantasticStay. All rights reserved.